Naim adds to its Uniti line with £1650 UnitiLite | What Hi-Fi? Launched today at the Milan Top Audio Show is the Naim UnitiLite, the latest addition to the company's all-in-one network music system range. 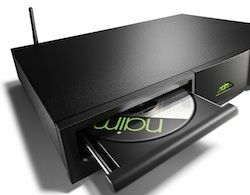 Selling for £1650, or £1895 with the addition of a FM/DAB module, the system will go on sale in the middle of next month, and uses a conventional drawer-type CD loading mechanism in place of the swing-out 'player within a tray' of the more expensive NaimUniti2. It offers wired or wireless music streaming up to 192kHz/32-bit, internet radio, five digital inputs and three analogue – including a front panel combination 3.5mm analogue/MiniTOSLink socket – and an Apple-authenticated USB input able to take a digital signal from iOS devices, as well as allowing the system to control and charge them. USB memory devices can also be connected to that input, and the UnitiLite uses high-quality digital conversion from Burr-Brown as well as offering gapless playback from all lossless file formats and most lossy ones, too. It can stream and play WAV, FLAC, Apple Lossless, AIFF, AAC, Windows-Media-formatted content, Ogg Vorbis and MP3 files, and is controlled using the front panel buttons, the remote provided or Naim's n-Stream app on iOS devices. The onboard power amplifier delivers 50W per channel into 8ohms, and alongside its speaker outputs the UnitiLite has a 4-pin DIN socket for an external power amplifier or subwoofer, and a headphone output. There's also a USB mini-B socket on the rear panel for future updates.